Ready for a new space? Here’s are a few pointers so you know all of your furniture options before you buy. First, keep what you have. Reusing your current furniture can be an economical option, but consider a few things before you go this route. If you’re moving into a new space, the floor plate – or interior layout – will most likely change. Your old furniture in this new space may not maximize its capacity or its total capability. Also, keep in mind that there will be a cost to disassembling, moving and reinstalling your current furniture in the new space. Used furniture can be a fantastic way to procure high quality furniture at unbelievably low prices. We’re talking up to 90% off for your next office! And at Affordable Office Interiors, you’ll still get the professional design, space planning and professional services you’d expect when you buy new furniture. I strongly suggest checking out their huge in stock inventory online, or come into one of their open public showrooms and see these amazing deals for yourself! The look, the quality, the warranty, the unlimited options and looks and configurations. With hundreds of high-quality manufacturers to choose from, you can get a new office from as low as $15 per square foot to beyond $35 per square foot on the higher end. 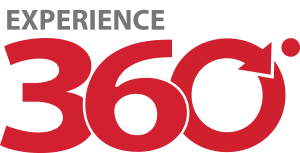 BOS will help you maximize your investment and guide you down the right path for your organization through our 360 Experience and ProACT move process. Depending on your need and budget, the right solution for you might be a blend of new and used. Blending can also mean value engineering a solution between multiple manufactures. Many of our clients have enjoyed significant savings by leveraging our blending capabilities and since we can do it all in-house, there’s no better place to explore all of your options, lower costs and increase efficiencies. I hope you now know that you have many options when it comes to making the right furniture decisions for your business. Our teams at BOS are here to help you every step of the way. We know you’ll find our knowledge, professionalism and commitment to creating a space you love invaluable. Connect with us today to maximize your office furniture budget!